Nov. 8 (UPI) — According to a new survey of the Amazon, the planet’s largest forest is shifting its composition in response to climate change. Unfortunately, the research suggests the Amazon isn’t evolving fast enough. The climate is changing faster than the Amazon can adapt. Most noticeably, scientists found moisture-loving tree species are dying off faster than they can be replaced by species that can withstand drier conditions. 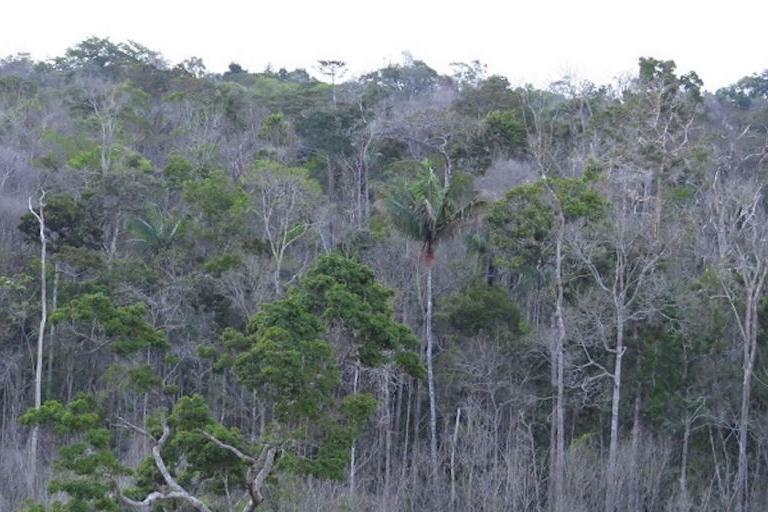 Droughts during the last decades have damaged large portions of the Amazon. The survey, published this week in the journal Global Change Biology, also showed increasing levels of carbon dioxide are benefiting canopy species in the forest’s upper layers. Additionally, some smaller tree species are benefiting from the increase in CO2 and the deaths of larger, moisture-loving trees. Previous studies have predicted rising CO2 levels will accelerate at least some forest dynamics, allowing advantaged species to boost their photosynthesis rates and conquer new territory. “The increase in some pioneer trees, such as the extremely fast growing Cecropia, is consistent with the observed changes in forest dynamics, which may also ultimately be driven by increased carbon dioxide levels,” said Oliver Phillips, professor of tropical ecology at Leeds. While change can help the Amazon adapt to changing conditions, rapid shifts can destabilize ecosystems.